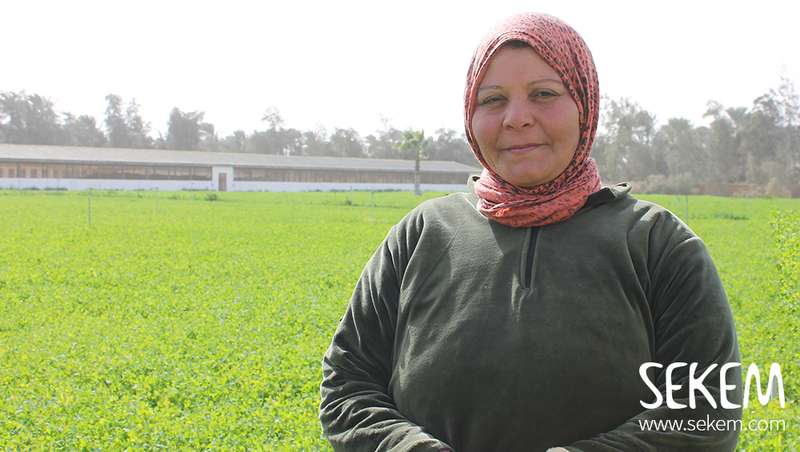 “For better or for worse, a good wife is the one who always supports her man and stands by him”, says Wedad Abd El Zaher Mohamed, one of SEKEM’s female farmers. “SEKEM empowered me by giving me work and knowledge, which helped me to support my husband in maintaining the well-being of our family and overcoming many challenges,” says the devoted wife. Wedad is the daughter of Abd El Zaher Mohamed, a long-standing SEKEM member who is responsible for waste separation since 1980. Also, her brother, Mostafa Abd El Zaher, works at iSiS Organic factory, SEKEM’s company for Organic food, for more than 20 years. Throughout her whole life, Wedad used to see how her parents were supportive and loving to each other – until her mother passed away three months ago, “leaving behind many good memories, yet deep sadness in our hearts, especially for my father,” the 43-year-old lady tells. “My mother taught me that a woman is not only the backbone of her family but of the whole society”, reveals Wedad. And this is something, the SEKEM farmer could experience herself. When her husband lost his job three years ago, it was clear to Wedad that she will start contributing to the household – and she immediately started to search for work. Wedad and her father Abd El Zaher Mohamed at the SEKEM Farm. Her father recommended SEKEM to her as a good working place. 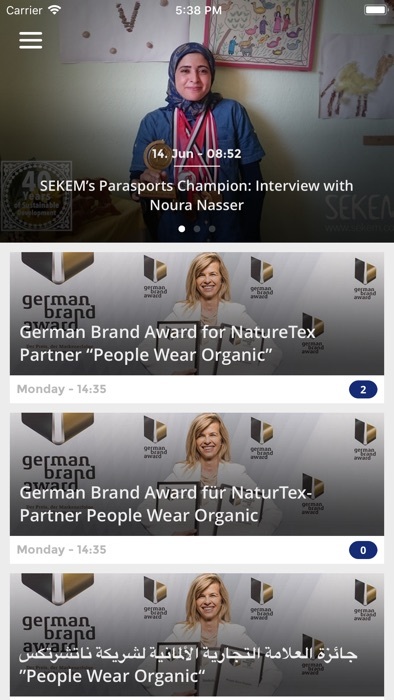 “I was very happy that SEKEM hired me, not only because of the money but also because I learned a lot on agriculture, a topic that was always interesting to me”, explains Wedad. “Today, I know a lot on Biodynamic farming and how to produce clean and healthy food.” Besides, Wedad enjoys spending time on the fields: “It’s always fun to spend time with my colleagues and it is amazing to see the lands that we used to prepare for months turning into green bit by bit, giving out healthy and tasty crops for the harvest,” she states. It’s surprising yet impressive to know that such a mindful lady never joined schools. Like many other Egyptian women, Wedad was deprived of her right in education due to the old rural traditions. But for her, it was taken for granted that she will enrol her children at schools from the very beginning. “Even before being a mother, I was planning to give my kids all their rights in life, especially for education,” she recalls. “We are living in a challenging environment, and I strive to protect them from becoming vulnerable. Education gives people the power to face any challenges and change their life.” And the children took the chance: Today, Wedad’s son is studying at the Faculty of Science of Azhar University, and her daughter is in her high-school stage. Get to know Wedad's father, Abd El Zaher Mohamed! Meet Zarifa Kamal, Packaging Technician at ATOS Pharma!